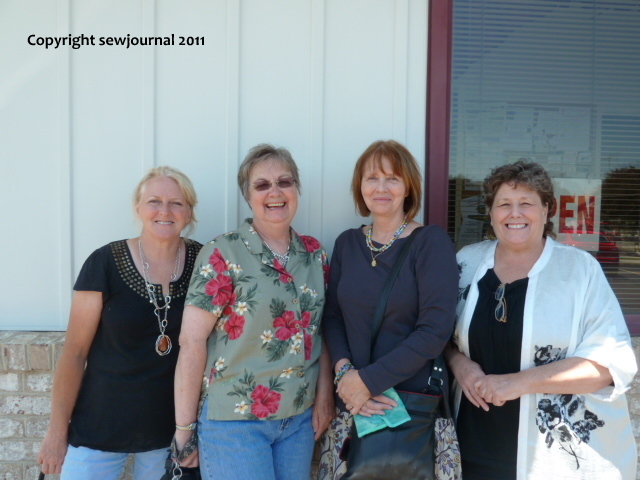 After a fun night in the motel teaching Sylvia and Louise my Trace ‘n’ Baste applique method we met up with Fran. Fran was another email friend that I met in person 2 years ago on an earlier visit to the US. She’s a lovely woman with a great sense of humour and a generous spirit. 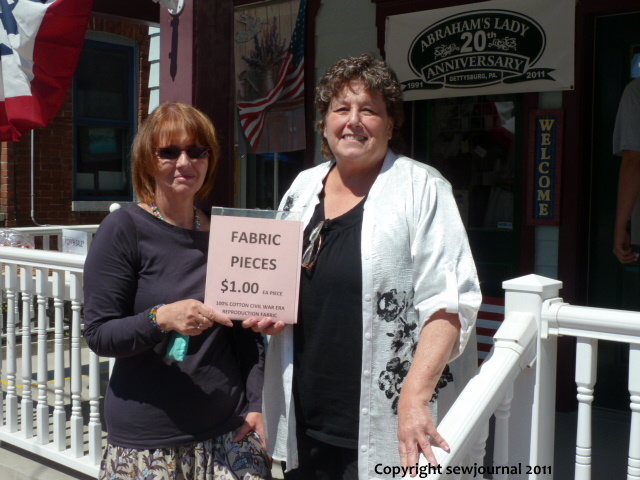 The four of us visited some “fabric shops” in Gettysburg which really sell fabric from the civil war era and make up clothes for the re-enacters. 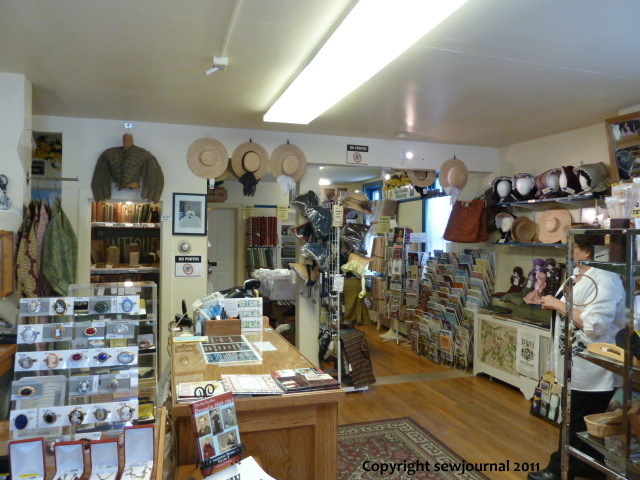 There were women in there trying on full-skirted dresses and fancy bonnets. We had to get special permission to photograph in the store and had to be sure only to face the camera a certain way. Anwyway here are some photos. 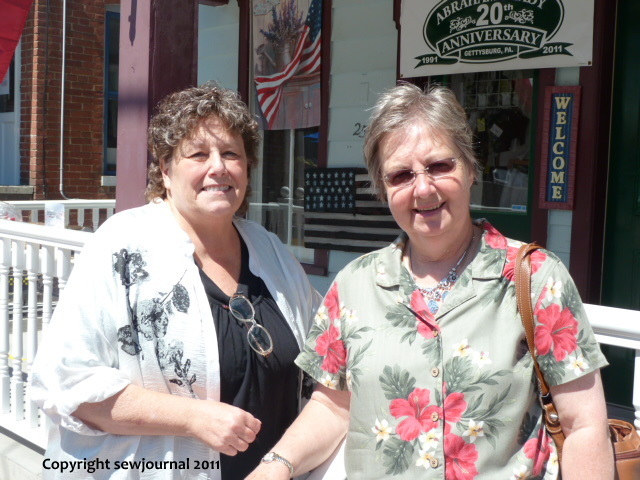 We visited another quilt shop where I bought some batik scraps and then we head off to have lunch. This photo was taken just after lunch and before we had to say our goodbyes. Fran and I headed off for Washington, DC and Sylvia and Louise headed back to Lindley, NY. I was really sad to see Sylvia and Louise go. We got on so well and they made me feel so at home that it was a real wrench to say “Goodbye” but at the same time I was looking forward to catching up with Fran and to seeing my friends in DC. I had to say my goodbye to Munaiba here at my home, because I knew when the time came to reallllly say goodbye, I wouldn’t be able to talk. But we all managed to get thru it. BTW ladies I LOVE Munaiba’s Trace and baste technique that she developed. It’s a VERY nice way to do very complicated applique. Great photos again & glad you had such a great visit with friends.